If you are looking for responsive payday loan landing page design templates which will support all screen size and resolution on affordable price, then you can purchase and download our responsive payday loan landing pages instantly from our responsive payday loan landing page category. 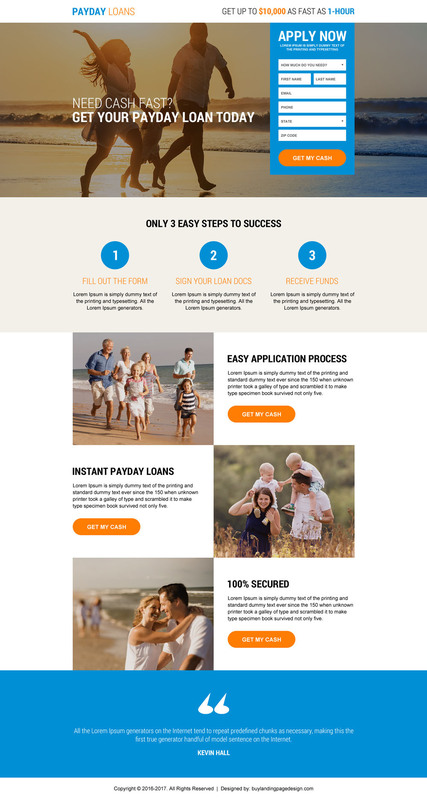 Below is an example of payday fast cash call to action landing page design templates to boot your payday loan business with quality traffic and sales. Below are some payday loan landing page design templates example to convert your visitor into customer. If you need your purchased landing page design customized with your content and images or any other customization then you can check out our affordable design customization packages. 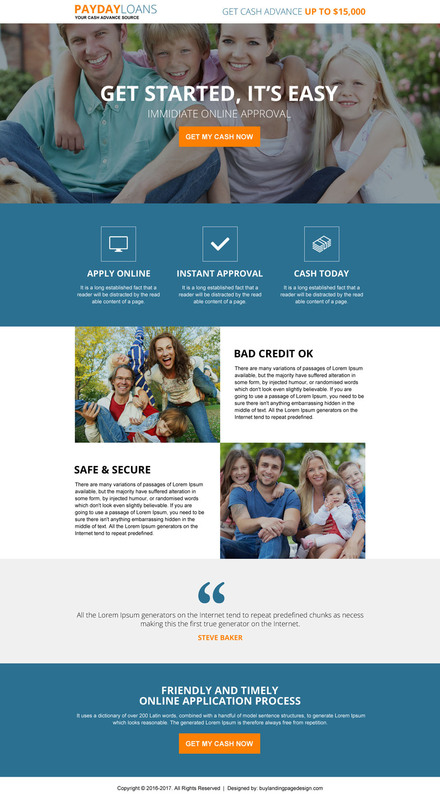 Need a custom payday loan landing page design for your business? Just let us know your details requirement through our request a free quote page.